About Us | Welcome To Stokes Creative Group, Inc.
A full-service marketing agency with more than 30 years of client satisfaction, Stokes Creative Group, Inc. specializes in the transportation and construction industries, including providing outstanding construction support services. Include public outreach, videography, marketing and advertising and photography. Stokes Creative Group, Inc. is as unique as our clientele, and has had the pleasure of working directly with countless industry leaders. We have offices in New Jersey, New York, Maryland and Florida to serve you better. We maintain certifications as a WBE/DBE/SBE/WBENC (Woman/Disadvantaged/Small/Women’s Business Enterprise) throughout the East Coast. 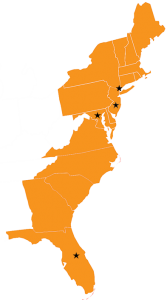 Stokes Creative Group, Inc. is headquartered in Vincentown, New Jersey, with three additional locations along the East Coast. Each location is staffed with various employees and job functions – all part of our main corporate focus on providing outstanding marketing and public outreach services to the construction and transportation industries. By having four locations, we are better able to service the needs of our growing customer base and develop solutions that reach their marketing goals. Please call us today to learn more about services we offer at any of our locations – in New Jersey, New York, Maryland or Florida – or to speak to a team member. Joanne Stokes started in construction photography in 1985, taking photos of various job sites in New Jersey. Soon after, a video documentation system that involved driving the proposed project site with a van and cameraperson was developed and specified in contracts throughout the Northeast. From there, JMS Visual Communications began working with some of the best engineering firms in the world and quickly developed the ability to turn complex engineering and planning into useful public information. They evolved into creating complete video productions for both broadcast and VHS distribution. From historic trains to how a treatment plant works, JMS always provided clients with equal quality and creativity. Recognizing that helping clients become more successful also improved JMS’s success, the next big jump was adding a marketing and advertising department. Producing brochures and logos naturally progressed into building websites and offering complete product development. In 2010, JMS rebranded under the broader umbrella of Stokes Creative Group, Inc., a full-service marketing agency specializing in providing quality solutions for the transportation and construction industries. Zac Stokes’ photo for the Tappan Zee Constructors, LLC lands on the cover of ENR Magazine’s “Year In Construction Photos” issue, Jan. 8/15, 2018. 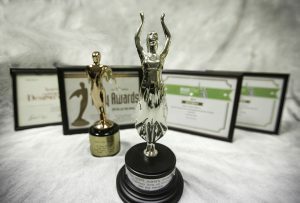 Tappan Zee video documentary “Teamwork Over the Hudson” produced by Stokes wins platinum MarCom award. Stokes adds 360° View Construction Documentation to the construction support services division. Stokes Florida team expands with new hires and moves office to Orlando. South Jersey Biz magazine readers vote Stokes Creative Group, Inc. the “best full-service marketing agency” for 2017. Stokes opens midtown Manhattan office in the shadows of the Empire State Building. Stokes raises and donates $1,000 to non-profit group, PennReach – the largest donation ever received by the organization in its five-year history. “Droney McIldrone”, the Stokes-owned drone, joins the team. Matthew Touhey receives his pilot license to operate the drone. The DCAS (Department of Citywide Administrative Services) in New York utilizes Stokes’ aerial drone videography to capture footage of the solar panel installations in NYC.